Optimism continues to surround Blackham Resources’ gold prospects in outback WA, with analysts starting to take notice of promising drilling results at Wiluna as it continues to firm up a resource to feed the Wiluna gold plant with. 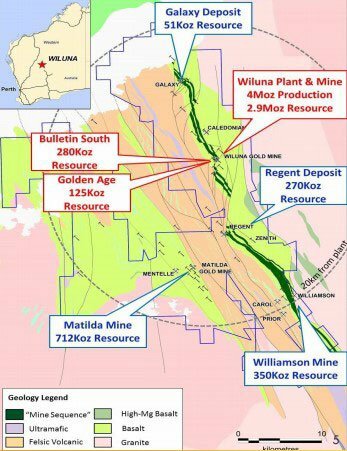 It recently told the market that it had possibly firmed up an extension at its Matilda site, near its flagship and fully funded Wiluna project. The Matilda project itself is in the middle of a gold-producing region, with Blackham Resources stumping up for the mothballed Wiluna gold plant, giving it potential immediate production capacity of 100,000 ounces of gold per year. It has been in the middle of extending its understanding of key gold deposits in the region, recently firming up extensions at Matilda, the nearest deposit to the production plant. It discovered a new lode south of its planned M4 pit, with a strike of 7m @ 6.02g/t from 55m. The company said the strike was further proof that higher grade lodes repeat along the M4 trend, where it has a pit planned. The new drilling means that the M4 trend is now over 2km long with further high grade lodes to the north and south. Meanwhile, it also had further success at Scorchers Lode and the base of the M3 pit, with drilling at the M4 pit firming up a resource which could in effect help merge the M4 and M4 North pits. 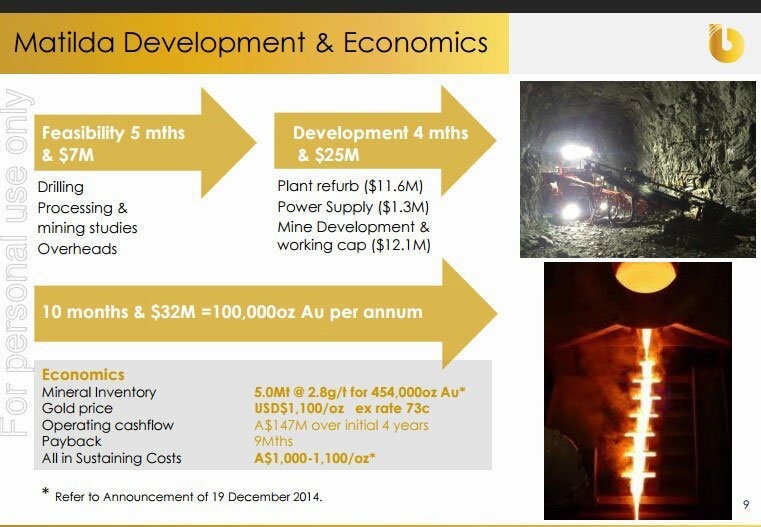 The pits are underpinning BLK’s plans to bring the Wiluna Gold Plant back into production next year, with the existing resources at the project totalling 12.5Mt @ 1.8g/t for 712,000oz. The plant will have ultimate capacity of 1.3Mtpa, or around the 100,000oz per year mark. The new drilling results will give it confidence in its main resource in the area, and open the way to potential shallow resource extensions at the project, meaning a lower cost for more resource. Post the latest round of drilling, BLK now has a total measured, indicated, and inferred resource of 44Mt @3.3g/t for 4.65Mt of gold from all its projects in the area. 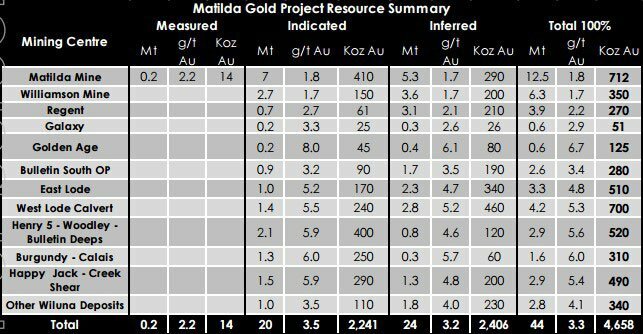 However, only 0.2Mt @ 2.2g/t for 14,000 ounces has been measured at Matilda, meaning it still needs further drilling to bring its indicated resource to the more certain measured category. 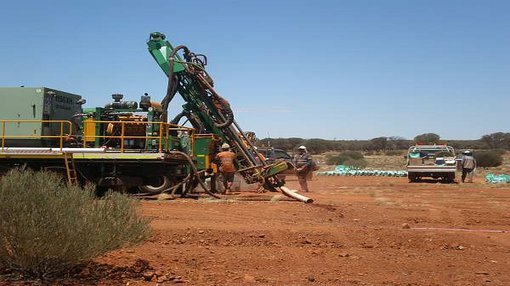 BLK is hard at work doing drilling ahead of a feasibility study into re-opening the Wiluna Gold project, which could immediately start producing 100,000oz per year. It struck a deal with Orion Mine Finance last year to fund the project up to $38.5 million, which could see the project fully funded up until production ultimately starts. 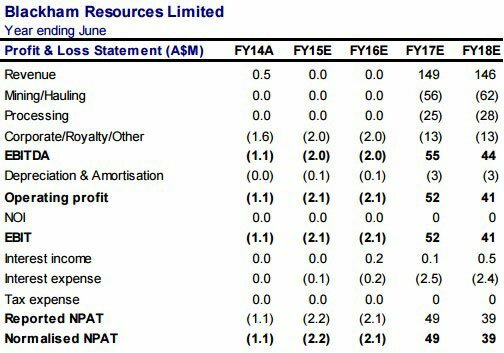 Orion took a 12.5% stake in BLK in return for an initial $2.5 million, and also put up an immediate loan of $6 million, with a further $30 million available once BLK is ready to pull the trigger on the Wiluna Gold Plant. The plant is currently mothballed, meaning BLK will have to refurbish the plant and pay for power supply to the plant, but BLK estimates that once production starts it should hit the payback period within nine months. This assumes a $1100/oz gold price and an exchange rate of 73c against the greenback. 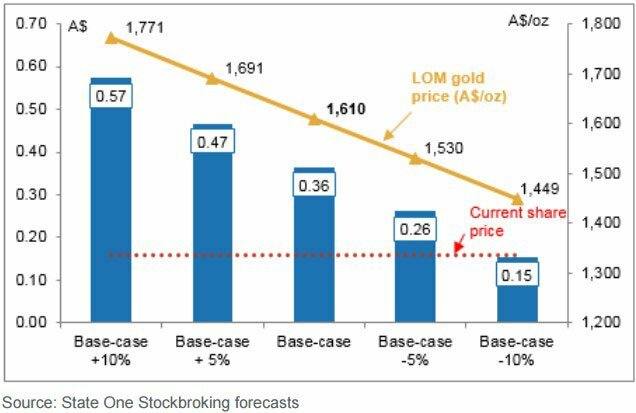 With near-term gold production on the horizon, the analysts are starting to take notice. Late last month Perth-based State One Stockbroking labelled BLK as ready to join the ranks of WA’s mid-sized gold producers. It labelled Blackham a buy with a target price of 36c, up from its current share price of roughly 15c. Depending on the gold price, State One said this target price could range from 57c to 15c, meaning that should the gold price fall to $1449/oz, it would stay at current levels. It said it anticipated BLK could be producing as soon as the second half next year, with revenue to start flowing to the company in the 2017 financial year. It said revenue could reach $149 million in the 2017 financial year, with a potential net profit after tax for that year reaching $49 million. It should be noted however, that the above forecasts represent just that – a forecast, with no guarantee BLK will reach these levels.